Get our newest episodes by subscribing to The Road to Now on Apple Podcasts, Stitcher or anywhere else you get your podcasts. Click here to access our full back catalogue by supporting The Road to Now on Patreon. There’s a good chance you don’t appreciate how engrained professional wrestling is in American history and culture, and this episode is about to change that. We didn’t know all this either until wrestling legend Jim Cornette was kind enough to spend an hour taking us from wrestling’s origins in the late 19th century up to the sport as it exists today. 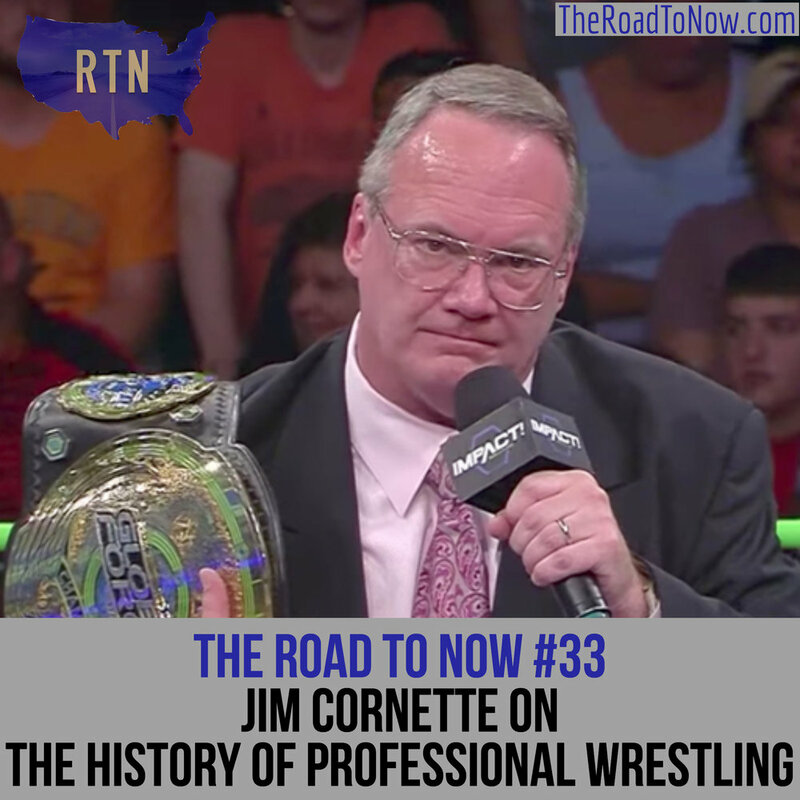 Jim knows the sport like no other- he’s been part of the professional wrestling scene since the 1970s, and currently hosts the tremendously popular podcast The Jim Cornette Experience. Jim has also been ringside (and sometimes in the ring) for some of wrestling’s greatest moments, including the April 5, 1982 showdown between Andy Kaufman & Jerry “The King” Lawler (that was his first time on national television), and his storytelling is second-to-none. This episode also features wrestling aficionado Jon Burr making a special appearance as guest co-host. Jon is the host of the NBA podcast The Fastbreak Breakfast, the front man for the band How I Became the Bomb, and Ben’s friend & neighbor. This is a rebroadcast of Episode #33, which originally launched on December 5, 2016. This episode is brought to you with support from Ramseur Records. Go to RamseurRecords.com & enter promo code history at checkout for 10% off your next purchase.